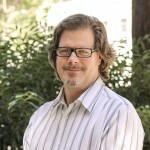 SGPA served as the Executive Architect for three projects at the San Diego International Airport. This series of projects includes a 2-story, 320,000 square foot expansion of the West Terminal with a revised baggage system, a new ticketing concourse, eight new gates, check-in, hold areas, concessions, and new pedestrian bridges to the parking lots. The renovation of three existing terminals includes a commuter terminal and a central mechanical plant. The planning, design and construction of this $70 million Immediate Action Program (IAP) project included a 2-story, 320,000 square foot expansion of the west terminal with a new ticketing concourse, revised baggage system, 8 new gates, check-in, hold areas, retail shops, restaurants and concessions. 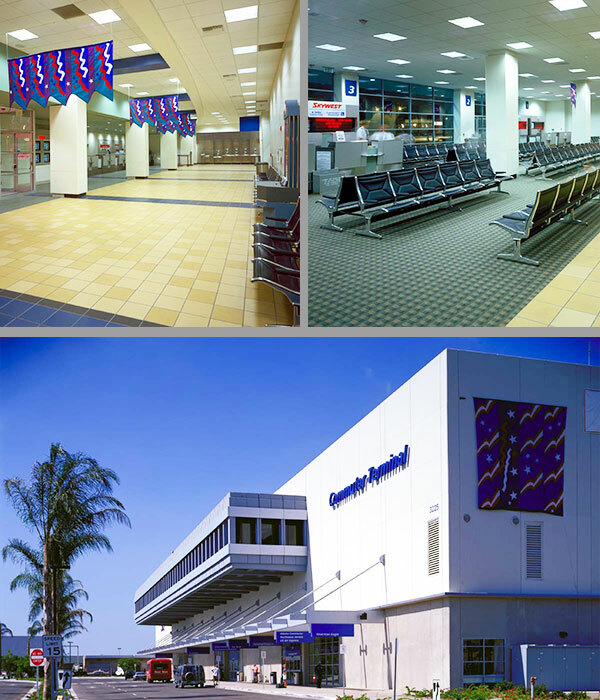 This project involved the demolition if a 64,000 square foot aircraft hangar and rehabilitation of an existing 120,000 square foot 3-story building for commuter airline operations and office space including a new ticketing lobby, hold room, baggage systems, landside and airside improvements. The new central mechanical plant was designed to supply all cold and hot water required for existing and planned terminals at the San Diego International Airport site. Piping and conduits has to be coordinated with existing and planned construction activities. The plant is energy efficient, and besides monitoring the three primary terminals, the central control system allows operators to manage the controls for three additional remotely located buildings while utilizing highly efficient equipment. 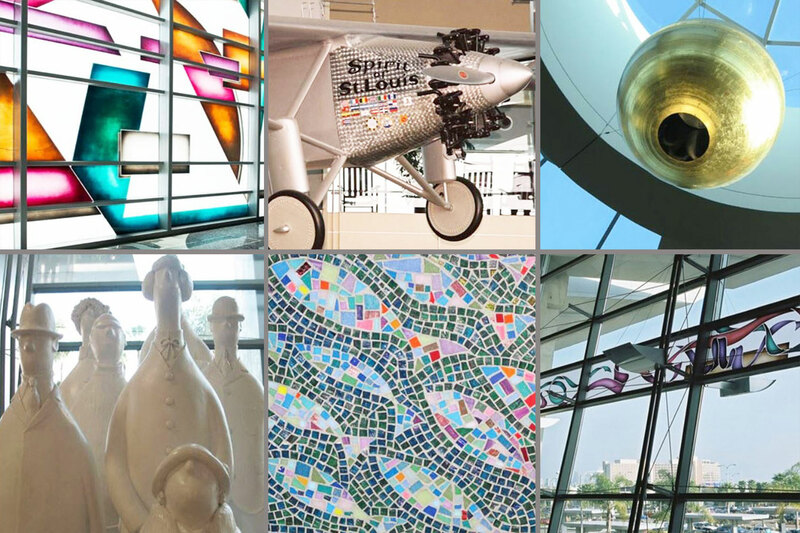 SGPA also developed places for public art, coordinated request for art submittals, and facilitated installation of art throughout the terminal.